LED lighting is becoming more and more popular each and every day. With the mixing of different coloured led's there is no limit to the colours which can be created. As the led technology moves on from week to week this means the colours are getting more vibrant and brighter as each improvement is released. Staging Hire UK is proud to be a stockiest of our new Pearl Finish Stage Decks: You can not see through them but light travels through making colours and lighting effects endless. These new decks are made of polycarbonate which allow light to travel through them, making them ideal for use for Catwalks. 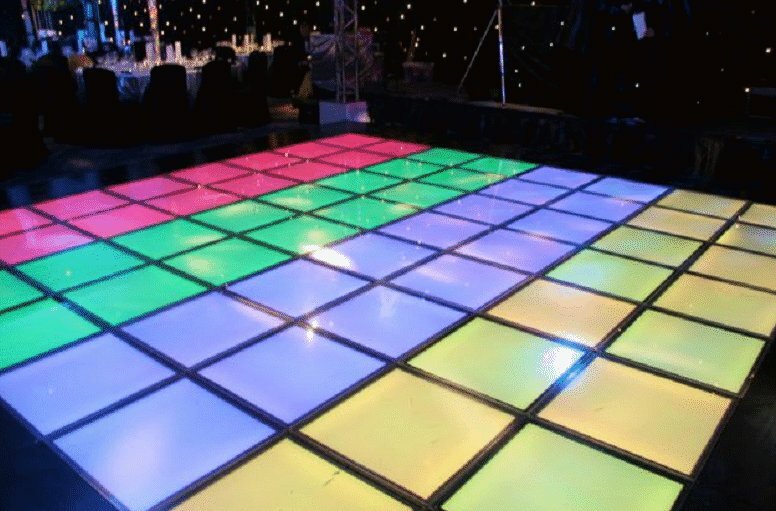 They can be used as they are a white pearl finish or with led lighting underneath we would then be able to change the colour of the catwalk as different models do their walk, to making the catwalk strobe as the Comper� enters and then mixing colours and effects for different mood sets in your show. The pearl decks these modern looking stages that are the latest rage are rapidly becoming the norm for conferences these stage are great they are white as standard then with the press of a button the stage is then magenta. There are literally millions of colours and mixes of colours. 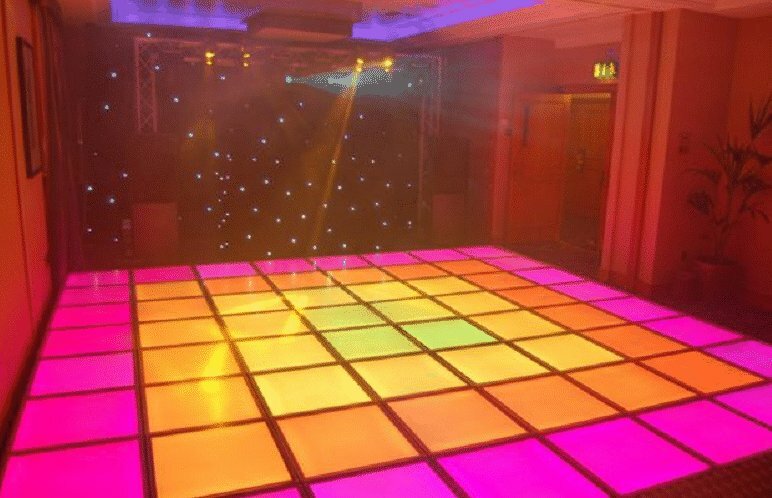 These stages can even be made to look like the legendry "night Fever" style dance floor for the hit movie. These sections can be placed into our normal stages so if you just wanted to light up a speaker this is of course easily achievable. The Pearl decks can be mounted horizontally or vertically making them ideal for uses such as Display Counters and Bar Tops both again can change colour with the use of led's. Contact us today at Staging Hire UK for further information on our LED stage decks.